A lot has changed in the past decade or so, but my website has pretty much stayed the same. My last website was created pre-9/11, pre-Twitter, and pre-iPhone. I created the site around the time I moved to Boston and had my first kid, who is now ten years-old. At the time, the way to layout a page was to use tables to position the text and images on the page. Really, this is the way it was done. I maintained the site (if you can call it that) with templates in Dreamweaver. Like I said, a lot as changed. The web is social. More and more people are accessing the web through mobile devices. I’ve become more of a “product designer” and less of a “web designer.” I wondered how easy it would be to create a responsive design site using WordPress. It turns out to be pretty easy. All I had to do was copy the content from my old webpages and paste it into WordPress. (Of course, after I did this I realized that I really needed to rewrite it all.) I was able to create the site in a few afternoons. 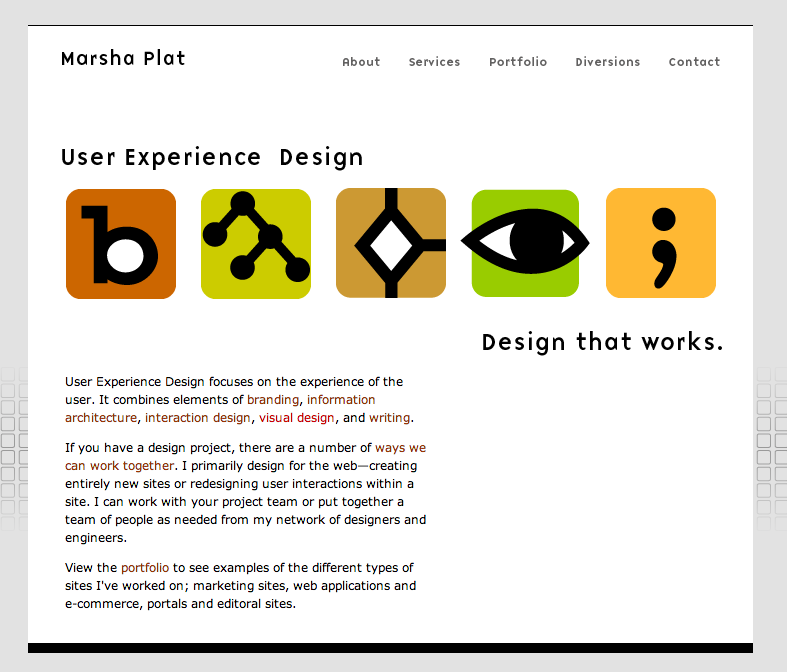 What took the most time was browsing through 60+ responsive design themes and deciding on one. And here, in front of your very eyes, is the WordPress version. Easily updated. Integrated with Twitter. Responsive. Done in a few afternoons. Ahhh! It makes me think that WordPress might be a good solution for some easy prototyping of marketing or content sites. It would be super easy to create a prototype of the information architecture or the navigation scheme and test it on user.